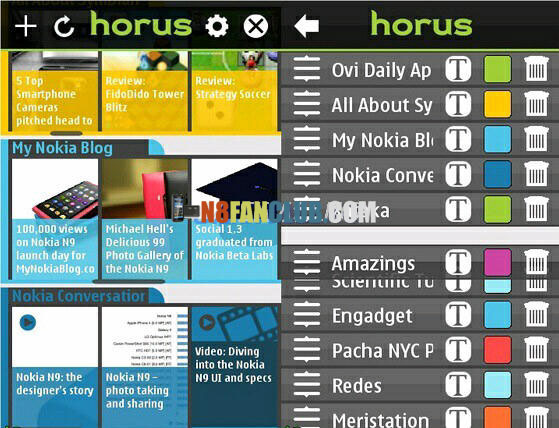 Horus is a RSS news reader application for Symbian^3 devices with a unique UI. Additionally, Horus also supports podcasts and videopodcasts. With Horus you can customize your RSS feeds modifying its colors, titles, or sorting them, and you can add new RSS feeds entering its url or just searching for them with Horus built-in search engine. A new way to enjoy reading your favourite news.